DAVID LE/Staff photo. 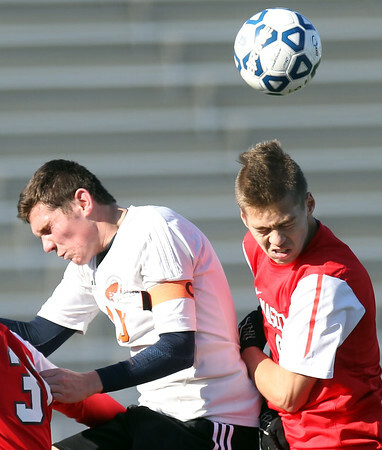 Masco senior Andrew Musiak, right, battles for a header with Oliver Ames senior captain Keegan Nutt, left. 11/21/15.